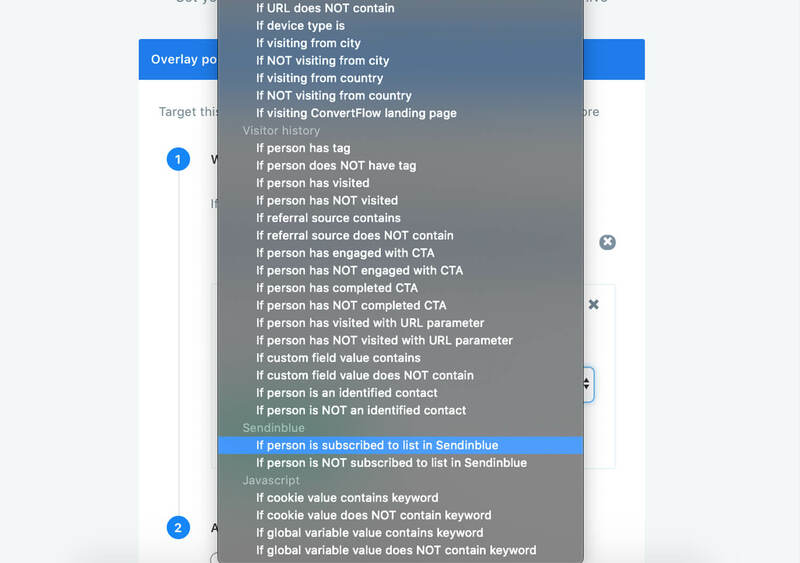 By connecting Sendinblue to ConvertFlow, you can now personalize your website for your Sendinblue contact segments. 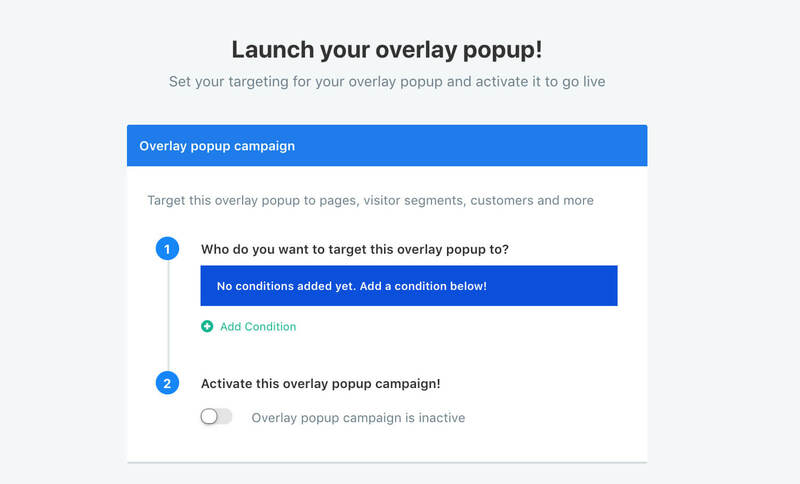 Using ConvertFlow's visual builder, you can design landing pages, forms, popups, surveys, quizzes, sticky bars, embedded content and more, all of which can be dynamically displayed on your website to returning Sendinblue contact segments based on conditions. 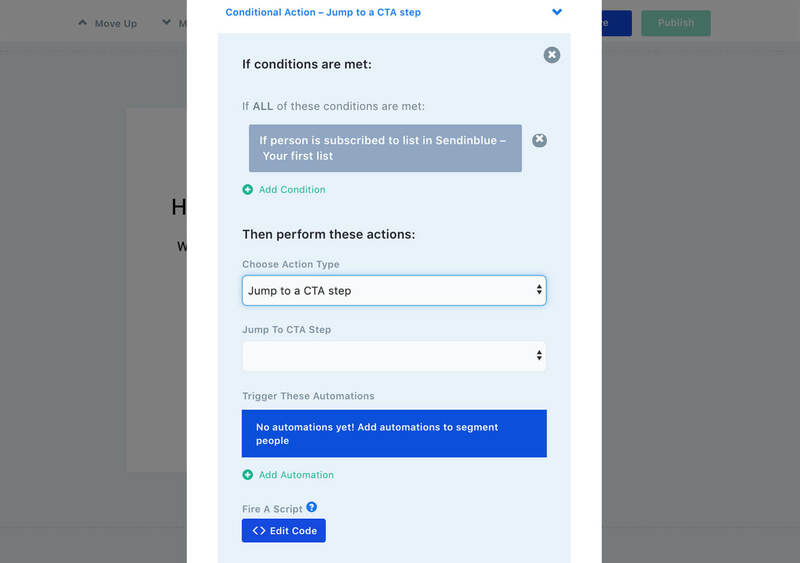 When building a call-to-action in ConvertFlow, to display it only for a certain Sendinblue contact segment, head to the Launch page and you'll be able to add Sendinblue targeting conditions by clicking "Add Condition"
Click the dropdown field to select a condition type, and you'll now see there are Sendinblue targeting conditions to select from. 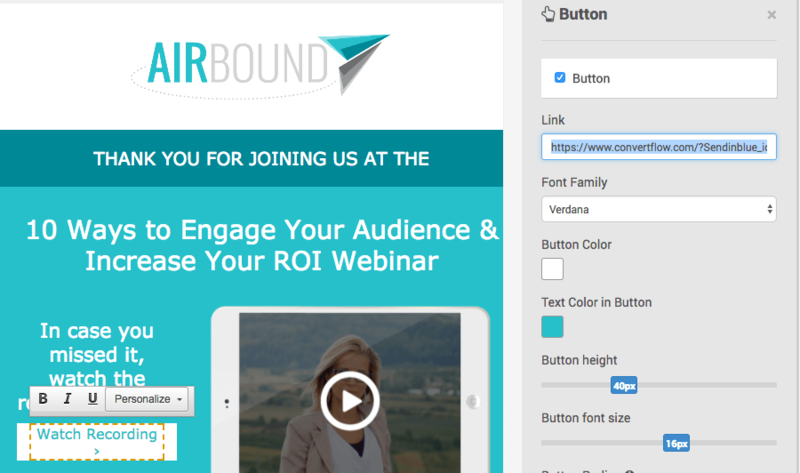 Using ConvertFlow's personalization merge tags, you display dynamic text content using Sendinblue contact fields. When ConvertFlow syncs a contact record with a Sendinblue contact, it pulls in their Sendinblue contact fields to populate these personalization merge tags. 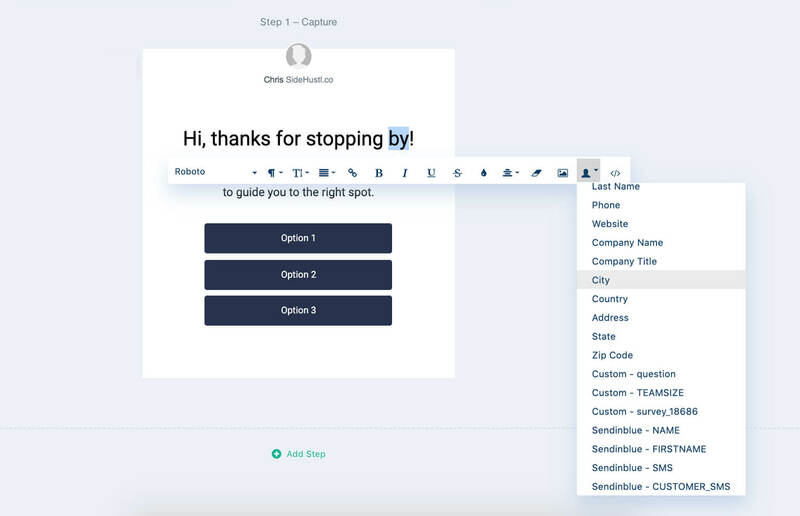 In ConvertFlow's CTA builder, when editing text elements, click on the "Personalize" option and you can add preset contact field merge tags, as well as merge tags for your Sendinblue custom fields. 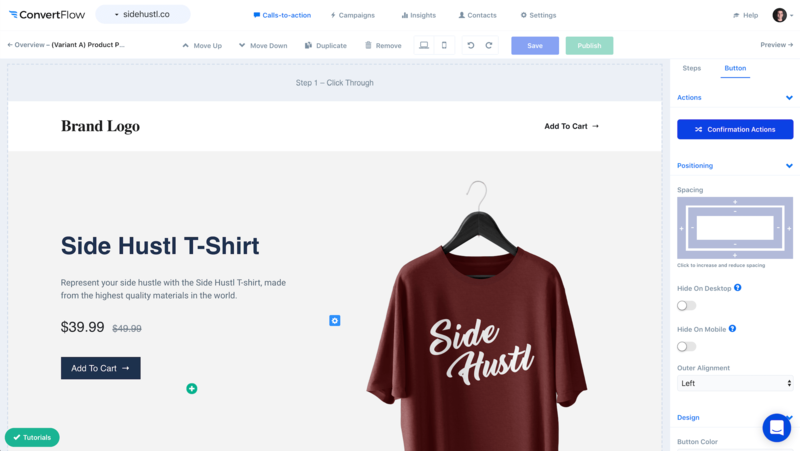 In ConvertFlow, you can build multi-step funnel pages, forms and surveys that conditionally display personalized outcomes to people based on their progress, as well as based on their contact segmentation in Sendinblue. For example, by using conditional actions, when a returning Sendinblue contact on your website engages with a survey, you can display a personalized outcome of that survey based on their current Sendinblue list subscription, as well as apply a specific Sendinblue tag. You can also use skip logic to tailor your funnels for returning contacts based on their current Sendinblue segmentation. 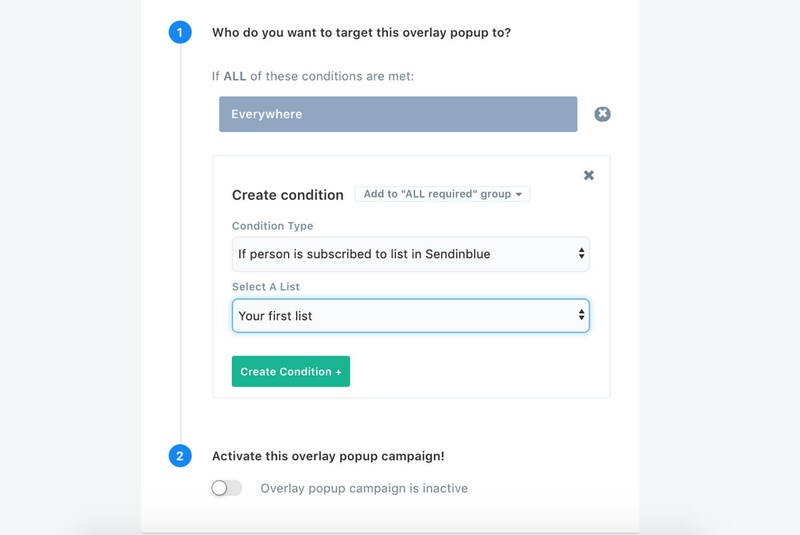 An example of this would be skipping contacts of a certain Sendinblue list past the email collection step of your funnel, so they don't have to re-enter their email address. So, this means once ConvertFlow is installed on your website, you will be able to target all of your new form submissions by their Sendinblue data. However, if you want to sync the tracking with your existing Sendinblue contact database, all you have to do is append their contact details to your email hyper links in Sendinblue, and ConvertFlow will sync their visitor session with their Sendinblue data. ...to the end of all of your Sendinblue email’s links, like how you would add any other URL parameter.